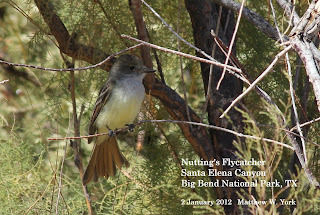 Big Bend - Texas Nature: Just for fun. Recent, record, memories. Heidi was busy staying at the ready to record vocalizations; that, far more important than photographs at the time. This allowed me to have fun with the still camera. We have many photos which we are very happy and pleased with. Heidi was successful in obtaining the first vocal recordings of this individual. Many thanks to Chrish Benesh, Myiarchus expert, with his spectrograph analysis of the initial recordings and the subsequent. 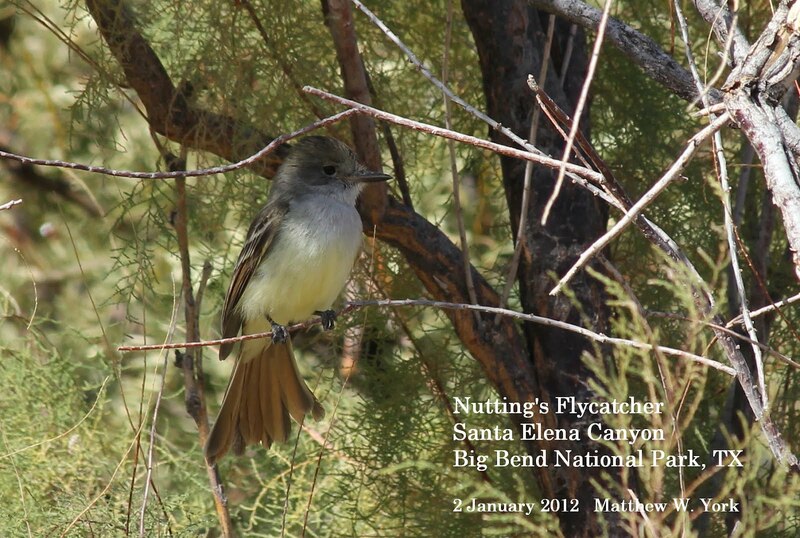 This, once approved by the Texas Bird Record Committee, will be a 1st TX record. Happy New Year it was. That day, way back on the second, the bird was quite the cooperative active forager.